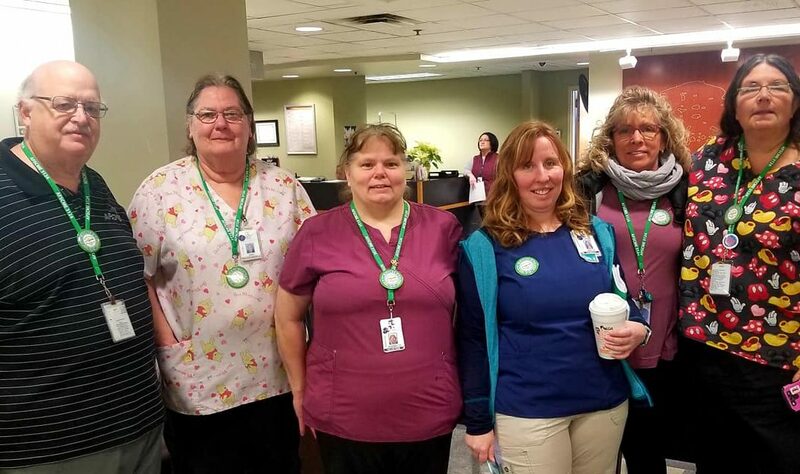 Earlier this week, the members of AFSCME Local 3124 announced the formation of a Contract Action Team to lead the fight for a fair contract at Auburn Community Hospital. The Union’s move comes after months of contentious negotiations over a new collective bargaining agreement. The Contract Action Team includes a representative group of ACH employees who will coordinate the Union’s campaign to spread public awareness, engage with allied community organizations, and take direct action. The Team’s first official meeting will be held in the coming days. AFSCME Local 3124 represents 360 health care workers at ACH, including certified nurses’ assistants, personal care assistants, food service workers, mechanics, and custodians. The Union’s previous contract with Auburn Community Hospital expired on January 1. The workers at Auburn Community Hospital have already started showing their solidarity, wearing union buttons and lanyards at work. Management poisoned the well for future talks by unilaterally changing the terms and conditions of employment after the contract expired. On the day the contract expired, the Hospital gutted workers’ dental benefits and increased the cost of employee healthcare by $500 a year without any warning or consultation with the Union.